SEO stands for Search Engine Optimization. SEO is a process applied to websites for higher rankings in search engine results. SEO techniques apply known factors in how search engines prioritize results, such as page-loading time and mobile-friendly content. The object of SEO is to increase rankings in search engine results for a web page. Higher rankings in search engine results lead to more website traffic and thus more sales leads for businesses. SEO marketing is good business. SEO practices are continually changing as search engines refine their ranking processes. An early form of SEO called “keyword stuffing” involved stuffing web pages with as many keywords as possible in meta tags to improve rankings. (Meta tags provide a description of a web page to search engines but are not visible to the website user.) These days Google’s search engine ignores the keywords meta tag. Modern SEO techniques take many forms. Because Google is the dominant search engine, SEO marketers (also called search marketers) must tailor web content to Google’s priorities. In some ways this is a difficult task, since many factors contribute to how Google ranks search engine results. The details of how Google ranks results is the secret sauce that gives Google a competitive edge among search engines. To stay competitive, Google continually updates this system of ranking, also called an algorithm. To keep up, SEO providers must continually work to identify changes in ranking, infer the cause, and adapt and adjust web content accordingly. But in other ways Google makes it easy to tailor web content for top ranking in search results. Google’s guiding focus is always on the website user, and on providing the best possible user experience. Therefore a good general rule is that anything that improves the user experience on your website (like a faster loading time) will improve your website’s rankings. SEO techniques tend to fall into two major categories: On-Page SEO and Off-Page SEO. Off-page SEO strategies generally involve what is known as “link building,” or getting links from other sites to your website. Search engine algorithms look at the number of links to a website. Sites with more inbound links (also called “backlinks”) rank higher, particularly if the link is from a recognized authority, such as a government or industry-leading website. “White hat” SEO represents techniques to improve search-engine rankings without violating the terms of service of Google or other search engines. SEO is not pay-per-click (PPC) advertising. The website owner does not pay the search engine to appear in the search results. SEO is not a fast solution. It takes time to perform SEO techniques, and it takes time for SEO techniques to work. The benefit is that these techniques yield a long-term, free source of website traffic. SEO is not a scam. Black hats aside, the use of legitimate SEO techniques helps people get the answers they need to solve business problems quickly. 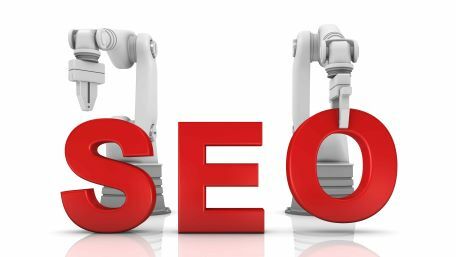 What is SEO for manufacturers? Manufacturers of industrial and precision equipment have specific SEO needs that cannot easily be met by a typical marketing agency. SEO for industrial manufacturing companies requires an ability to prepare scientifically accurate content for an engineering audience. Because the skill set for industrial SEO is relatively rare, huge opportunities exist for those manufacturers that do apply SEO techniques. To learn more about SEO for manufacturers, check out this case study. If your website isn’t performing, contact one of our SEO experts for a free consultation.